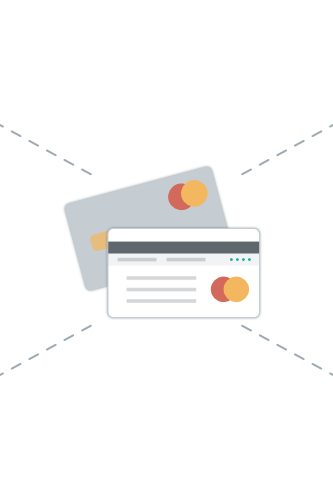 Accept online credit card payments with Crunched Processing. Offer your customers a simple, secure way to pay with Crunched Processing. Seamlessly sync your Priority Payments merchant account directly with your accounts receivable while automatically updating your customer balances. Select the plan that is right for you and get paid faster. Great for established businesses who process more than $10,000 per month. Aside from the added convenience and time saving nature of accepting credit cards, Crunched Processing securely offers low, competitive pricing with no transaction limits, no cancellation fees, and superior customer service. No need to shop rates to find the best deal, it's right here. Crunched Processing conveniently offers the lowest pricing in the industry. No obligations, no surprises, and no hidden fees. If you would need to close your processing account, simply notify our team. For companies that process high value sales, unlike other processing providers, Crunched Processing does not have a transaction limit. Have questions or need assistance with your account? Contact the Priority support center for professional, real-time support. Save on processing fees and get the best pricing available with Business 2 Business rate structures and custom plan generation. Once your account is setup, experience the convenience of offering additional payment methods to your customers. Paying with a credit card online is an added convenience not only for your customers, but also for you and your business. It makes the transfer of funds for goods and services seamless and timely. Similar to increased sales potential, by accepting credit cards you will have accessibility to customers that may not have the ability to readily pay via cash or check payments. Some customers may need financing or payment terms that credit card providers offer. Offering the ability to pay via credit could lead to sales orders that may otherwise not have been made. No need to worry about the transfer of bad checks or moving cash for sales or services. Credit cards offer another layer of security that is not available with cash or check payments. With Crunched Processing, you have access to a PCI compliant, advanced security, processing system. Here are a few frequently asked questions regarding Crunched Processing. How do I sign up for a processing account? To complete your application, you will need to enter your personal information as well as your business information including your employer identification number. After you submit your application, you will recieve an acceptance email that containts your Merchant ID and a link to setup your username and password for your MX Merchant processing account. From there, you will enter your credentials into Crunched. Once your account is integrated you can being accepting cards and processing immediately. What if I already have an existing merchant account? If you already have an existing merchant account contact us at processing@crunched.io and we can provide pricing analysis and transition support to Crunched Processing. Crunched Processing is requried to accept online invoice payments through the Crunched software. What if I need to swipe a card? Included with your merchant account, is the abilty to process cards with various card present terminal types. If you are in need of a terminal, please contact processing@crunched.io and we will provide the various compatable terminals. Can I process mobile payments? Yes, your merchant accounts portal allows for mobile payment processing. Simply download the Priority App and enter your credentials. For assistance, please contact processing@crunched.io. What if I want to cancel my processing account? Please contact us at processing@crunched.io and we will be able to process your request.